When a Spanish monk struggled to find the right words to convey his unjust expulsion from a monastery in a desperate petition to a sixth-century king, he likened himself to an aborted fetus. Centuries later, a ninth-century queen found herself accused of abortion in an altogether more fleshly sense. Abortion haunts the written record across the early middle ages. Yet, the centuries after the fall of Rome remain very much the "dark ages" in the broader history of abortion. 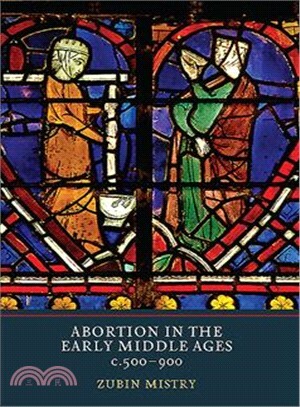 This book, the first to treat the subject in this period, tells the story of how individuals and communities, ecclesiastical and secular authorities, construed abortion as a social and moral problem across a number of post-Roman societies, including Visigothic Spain, Merovingian Gaul, early Ireland, Anglo-Saxon England and the Carolingian empire. It argues early medieval authors and readers actively deliberated on abortion and a cluster of related questions, and that church tradition on abortion was an evolving practice. It sheds light on the neglected variety of responses to abortion generated by different social and intellectual practices, including church discipline, dispute settlement and strategies of political legitimation, and brings the history of abortion into conversation with key questions about gender, sexuality, Christianization, penance and law. Ranging across abortion miracles in hagiography, polemical letters in which churchmen likened rivals to fetuses flung from the womb of the church and uncomfortable imaginings of resurrected fetuses in theological speculation, this volume also illuminates the complex cultural significance of abortion in early medieval societies. Zubin Mistry is Leverhulme Early Career Fellow at Queen Mary University of London.